These days detox drinks are widely used among people who want to feel healthy. If you are one of those who are trying to get rid of sugary drinks and want to help their bodies to flush out toxins then why not try out natural detoxification drinks recipes. It is important to increase your energy level and washout the harmful toxins from the body. Therefore, you must have noticed that doctor always recommend drinking eight glass of water on daily basis because water not only aids in hydration but also acts as a detoxifier. Detoxification is the process in which toxic substances are eliminated from the body. However, before using any of detoxifies, it is always a good idea to concern the health expert. In this article I would like to share easy recipes of natural detox drinks to make at home. How Do Natural Detox Drinks Work? The detox treatments of home are far more budget friendly and they are best to improve your overall health. Detoxification is a common method to lose weight and the aim of detoxification is to eliminate the negative effects on body from environment, pollution, chemicals, smoke, pesticides etc. 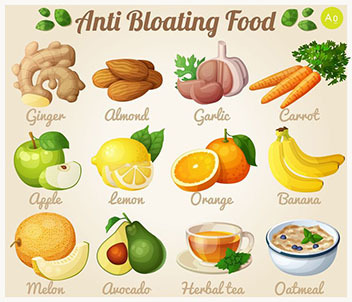 These days’ people focus on internal detoxification which mainly targets kidneys, liver and digestive system by flushing toxins from the body. Many people still ask how do natural detox drinks work? Well the answer is simple, detoxification the best method to keep your body healthy from unwanted diseases such as headaches, pack pain, hair loss, allergic reaction of body and many other diseases. Benefit of detoxification helps liver, kidneys and digestive system. 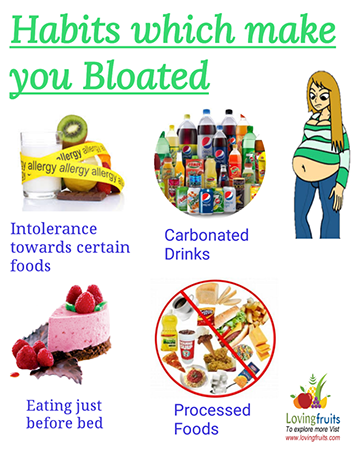 Moreover, this process purifies the blood which isn’t possible with regular diet. When your immune system works better then you will be refrained from unwanted headaches and pain. This process also reduces the body’s dependency on sugar, alcohol, caffeine and other sugary drinks. Detox drinks are used over the years because they eliminate the toxins that are accumulated in our bodies, the accumulated toxins cause various health issues such as headache and nausea. Those who are battling with their weight issues can also make use of detox drinks. This recipe is the easiest and most effective to make at home. As we all know that lemons help to detoxify the body and cleanse the blood so you have to use lemon in this recipe. Make sure to drink this lemon detox in morning as well as in evening. 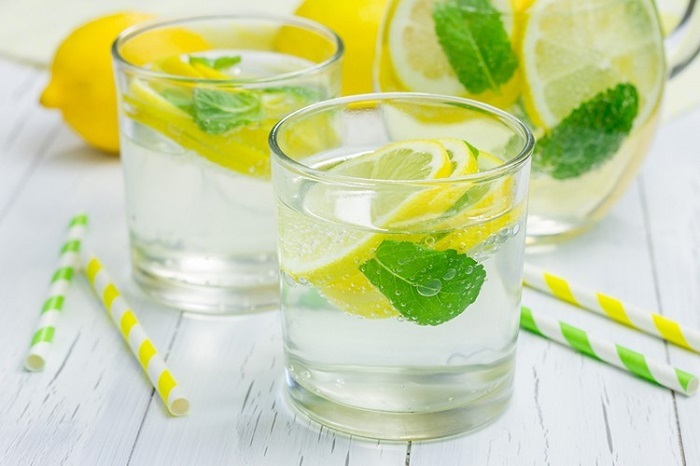 You have to squeeze the lemon in a glass of water and it will make an awesome detox. There are numbers of benefits of this detox, such as it helps to boost the immune system, slow down the process of aging, clear acne and spots and encourage the production of collagen. When you will consume the glass of lemon water in the evening or morning then you will provide your body vitamin C. Moreover, you will feel fresh and energetic. All this makes it best detox water to lose weight. In this recipe you need to add watermelon or cucumber, lemon, mint leaves and water. First of all you need one to two liters of water. 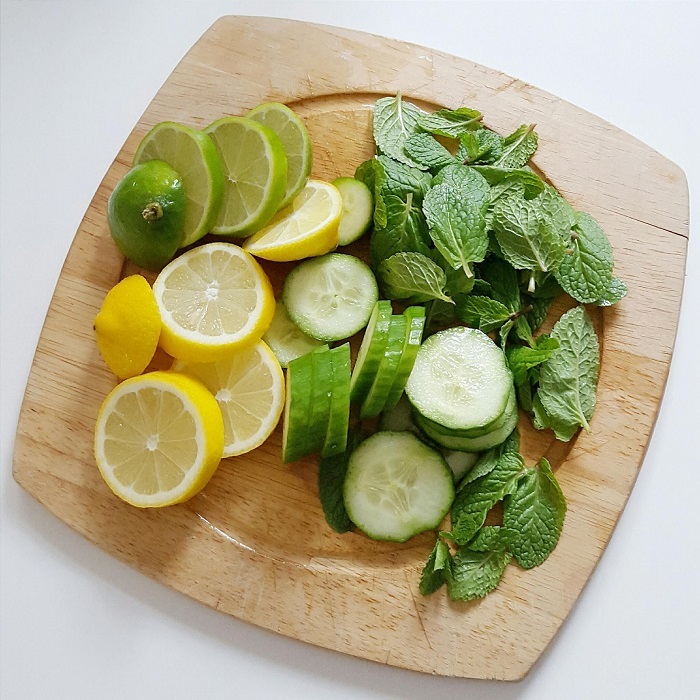 The quantity of water depends upon how strong you want your detox according to the taste, one part of watermelon or one cucumber, one whole lemon, approximately 10-12 fresh mint leaves and ice cubes as per requirements. 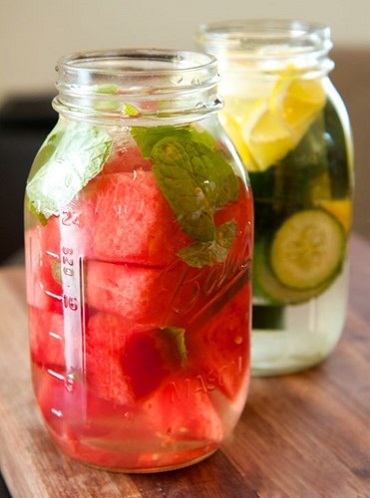 If you are taking watermelon then cut water melon into cubes and put in a jug. In the same way cut one lemon with corners and mix it with watermelon. Then you need to add fresh mint leaves along with two liters of water in the jug. Leave this overnight in your fridge and in the next morning enjoy your detox with few ice cubes. Suppose if watermelon is not available then you can make the same detox by replacing watermelon with cucumber. This will make a perfect lemon mint cucumber water recipe. It is one of the best homemade natural detox drinks you can try at your home. Watermelon helps the body to flush out the toxins and it also helps kidneys and liver. Water helps to flush out the nasty toxins from our system. Lemon helps to regulate the digestive tract and stimulates the production of bile juice, with the use of lemon we are prevented from problems such as heart burn, gas and constipation. Mint leaves add refreshing flavor to the drink and also helps to digest it more effectively. In simple words this detox is great for liver, kidneys and digestive system. Apple cider vinegar is the best detox water to lose weight. 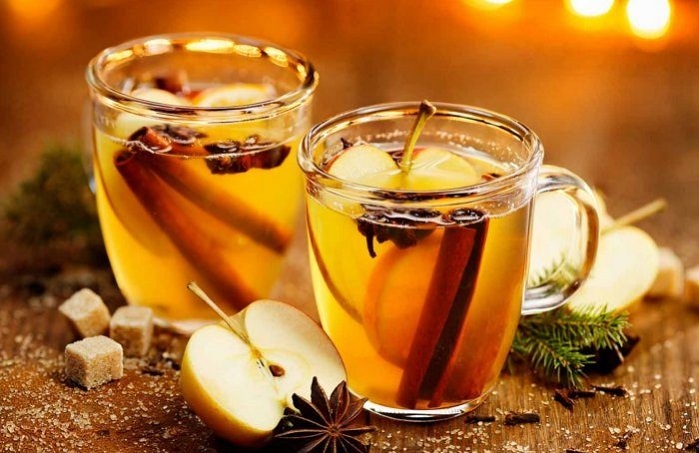 However, it is not recommended that you should consume Apple Cider Vinegar alone but you can always use with other combinations such as honey, cinnamon and lemon. In order to make this detox you need 2 glasses of water, 4 tablespoons of lemon juice, 1 teaspoon freshly ground cinnamon, 4 tablespoons of honey and 4 tablespoons of Apple Cider Vinegar. Combine all the ingredients and it will make the best detox. You can consume it in the morning and in the evening.